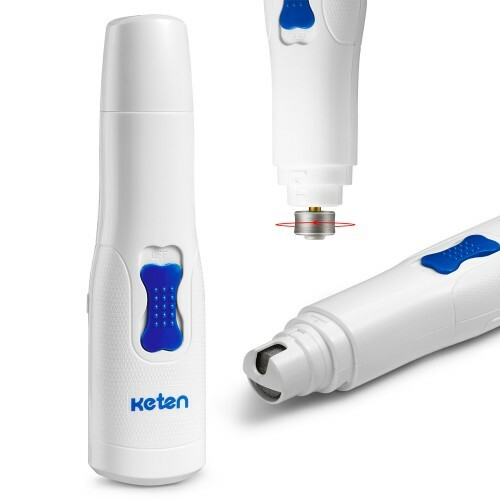 Keten Pet Grooming Grinder Electric Nail Clipper For Dogs And Cats . 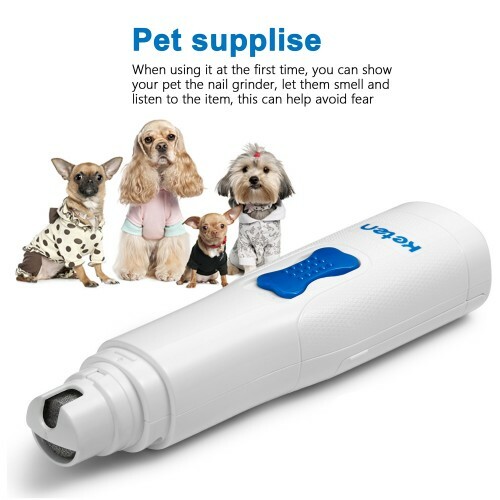 Super Mute Motor: Unique mute technology, acoustic noise in the process of operation which makes it easier on your pets. Wide Application: The internal grinding millstone has multiple openings to use depending on the size of your pets. 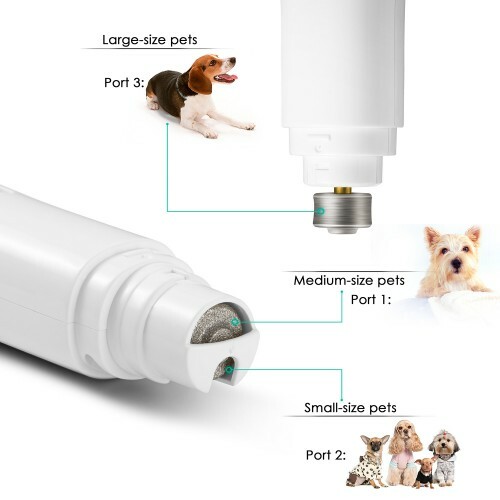 Ideal grooming tools for most of your pets! 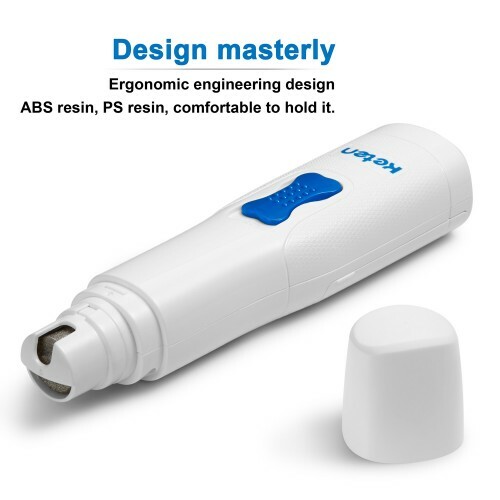 Easy Operation: Only one control button, just select the appropriate port and within seconds the nail can be ground and rounded to the appropriate length. 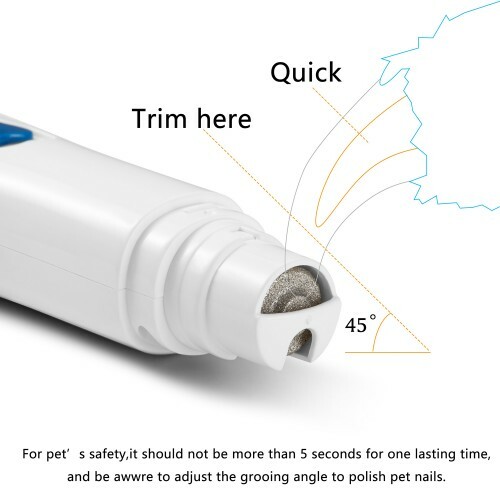 Safety & Stability: Safer than nail clipper to trim pet nails, reducing the risk of clipping the claws too short or hurt pets. 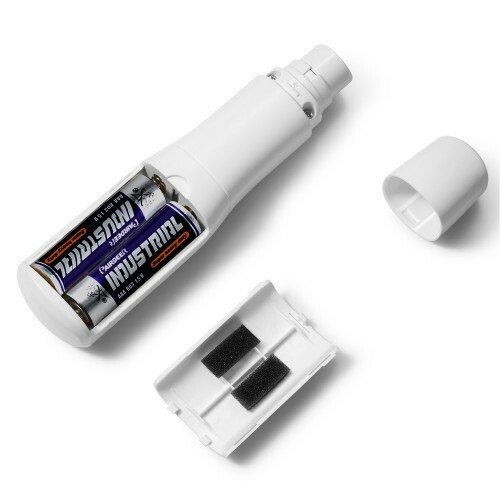 Durable Outer Housing: The shell of the nail grinder is made of sturdy resin as well as the cap. Well molded with no sharp edges. Please clean the grinder regularly to remove the nail powder of the surface for better usage. Please do not clean products with water or keep them in humid environment. The rotary tool provides a safe, effective, less stressful alternative to nail clipper. Instead of grinding at pet stores, this Deyard Nail Grinder more than paid itself off in the first use.